To address both the shortcomings in primary care provision and the special needs, a walk-in clinic jointly led by the university hospital, the public health services, and the local physicians’ association was established in the RC with funds from the state government and the university hospital. The clinic provides general medicine as well as gynecological, paediatric, and psychiatric and psychosomatic health care. The aim of this article is to report challenges and solutions of establishing high-quality primary health care for asylum seekers and meeting their specific needs in the particular setting of a large RC. Although other countries may not have similar RCs, the situation may change as the contemporary migration flows are very dynamic. 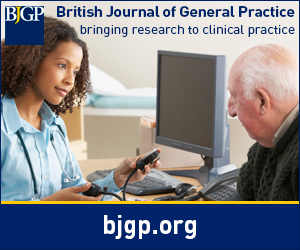 Thus, this report may be useful for GPs to gain an insight into possible ways of managing these highly vulnerable people whose complex health needs often present a challenge in conventional healthcare settings. After a negotiation and planning period of 8 months, medical services were initiated in February 2016. In July 2016 a group discussion among 24 healthcare professionals working in the clinic was organised to conduct a situation analysis and to identify barriers and solutions for the provision of high-quality care. Emerging issues could be assigned to 10 major themes (Box 1). The cooperation of different professions in the clinic was seen as advantage but due to a high turnover of staff assuring continuity of care was challenging. In this context, the need for improved documentation of medical data was raised. Medical treatment was perceived more difficult than usual due to high numbers of patients with special needs (for example, drug-addicted patients or patients with infectious diseases such as tuberculosis or hepatitis) and lack of country-specific diagnostic algorithms. A lack of resources , especially of assistants, interpreters, and medical supplies, affected the provision of care. Yet the general infrastructure of the clinic including the in-door-pharmacy was considered an advantage. Legal aspects were also mentioned as aggravating factors: The German Asylum Seekers Benefits Act limits the provision of care to acute and painful conditions, maternity care services, preventive medical checkups, vaccinations, and so called 'indispensable services'.7 This vague definition created uncertainties among providers about the scope of care provided in the clinic: acute and emergency care or continuous primary and specialised care. Thus, the scope of care provided was highly dependent on the personal attitude of the individual physician. However, the strong commitment of all staff who perceived their tasks as being meaningful was considered a facilitating factor. The findings of the situation analysis led to the joint agreement to introduce a quality circle (QC). QCs can be defined as autonomous peer groups of healthcare professionals who meet on a regular basis and aim at assessment and improvement of quality of care in their own practices.8 They are characterised by a result-oriented approach identifying quality problems and strategies to address these problems.9 QCs have become a globally recognised instrument for quality improvement in Europe8,9 and are partly even obligatory for GPs in South Germany. Two measures were undertaken to support the implementation of a regular and effective QC for clinic staff: the participants themselves decided on the frequency, the course and content of the meetings (bottom-up approach). The QC was accredited and the participants received credits for their continuous medical education. Four QC meetings were held so far in intervals of 6–8 weeks. Each took approximately 2 hours and was marked by vivid discussions. With, on average, 24 participants from different professions and disciplines participation was continuously high. Although we did not conduct a systematic evaluation of the QC, we monitored the target achievements as this is part of the QC concept. Several solutions have been elaborated and implemented so far (Box 1). Measures on an organisational level such as creating checklists for the equipment and standardising procedures were implemented successfully. Difficulties were faced when barriers on a legal, political, or national level had to be addressed; for example, to create guidelines for frequent reasons for counselling in accordance with national guidelines and the entitlements covered by the Asylum Seekers’ Benefits Act. When establishing healthcare services for asylum seekers many quality issues —﻿ partly similar, partly distinct from usual care —﻿ arise. Our experiences show that QCs, which have proved a suitable instrument for quality improvement in German primary care over years, are also helpful to foster quality improvements in special settings such as RCs for asylum seekers. However, structural barriers such as legal restrictions, financial limitations, or a lack of national clinical guidelines for the specific setting of RCs limit the full potential of QCs to improve care. Beside local initiatives national endeavours are necessary to assure high standards of health care for asylum seekers and to avoid harm, as the medical code of ethics demands. Health care for asylum seekers in Germany is currently characterised by an overwhelming heterogeneity due to decentralised organisation and responsibilities.1,10 We argue that measures to assure high quality standards should be enforced in healthcare services for asylum seekers just as in regular care. QCs may be an effective instrument for quality improvement beyond conventional audit approaches. We recommend to establish QCs in respective institutions. Kayvan Bozorgmehr receives grants by the Federal Ministry of Research and Education (BMBF) in the scope of the research programme 'Strukturaufbau in der Versorgungsforschung' (grant number: FKZ 01GY1611). No funding was received for performing quality circles or writing this article. We are grateful to all staff of the walk-in clinic and all collaborating departments for the continuous commitment and good cooperation. CS: Cornelia Straßner and Joachim Szecsenyi moderated the quality circles. JS: Cornelia Straßner and Joachim Szecsenyi moderated the quality circles. Das Bundesamt in Zahlen 2015 Asyl, Migration und Integration, Germany. Federal Office for Migration and Refugees . https://www.bamf.de/SharedDocs/Anlagen/DE/Publikationen/Broschueren/bundesamt-in-zahlen-2015.pdf?__blob=publicationFile. accessed 15 Aug 2017 . (2016) Health care provisions for asylum-seekers: a nationwide survey of public health authorities in Germany [in German]. Bundesgesundheitsblatt, Gesundheitsforschung, Gesundheitsschutz 59(5):545–555, doi:10.1007/s00103-016-2329-4. (2012) Mental health of displaced and refugee children resettled in low-income and middle-income countries: risk and protective factors. The Lancet 379(9812):250–265, doi:10.1016/S0140-6736(11)60050-0. Infectious diseases of specific relevance to newly-arrived migrants in the EU/EEA – 19 November 2015. European Centre for Disease Prevention and Control . http://ecdc.europa.eu/en/publications/Publications/Infectious-diseases-of-specific-relevance-to-newly-arrived-migrants-in-EU-EEA.pdf. accessed 14 Aug 2017 . (2005) Predisplacement and postdisplacement factors associated with mental health of refugees and internally displaced persons: a meta-analysis. JAMA 294(5):602–612, doi:10.1001/jama.294.5.602. (2016) Infectious disease outbreaks in centralized homes for asylum seekers in Germany from 2004–2014 [in German]. Bundesgesundheitsblatt, Gesundheitsforschung, Gesundheitsschutz 59(5):570–577, doi:10.1007/s00103-016-2332-9. (2015) Effect of restricting access to health care on health expenditures among asylum-seekers and refugees: a quasi-experimental study in Germany, 1994–2013. Plos One 10(7), doi:10.1371/journal.pone.0131483. e0131483. (2003) The development of quality circles/peer review groups as a method of quality improvement in Europe. Results of a survey in 26 European countries. Fam Pract 20(4):443–451. (2003) The Nordic method for quality improvement in general practice. Qual Prim Care 11:73–78. (2017) Health examination of asylum seekers: a nationwide analysis of state policies in Germany : § 62 of the asylum law [in German]. Bundesgesundheitsblatt, Gesundheitsforschung, Gesundheitsschutz 60(1):1–10, doi:10.1007/s00103-016-2489-2. A patient-held health-record for asylum-seekers in reception centres to improve continuity of care, Germany. University Hospital Heidelberg . http://www.isrctn.com/ISRCTN13212716. accessed 15 Aug 2017 .